IBM plans to invest $1 billion in new Linux and open source technologies for its Power Systems servers. Under the plan, IBM is opening a new client center in Montpellier, France for Linux developers. IBM also plans to launch a Linux on Power development cloud, focus on rapidly expanding its ecosystem supporting Linux on Power Systems. 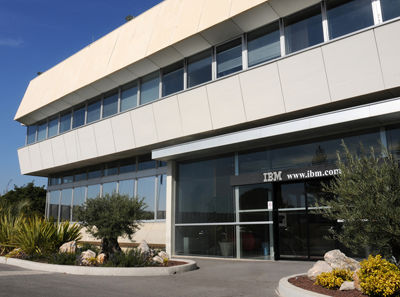 The new Montpellier center is among a growing network of centers around the world where software developers can build and deploy new applications for big data, cloud, mobile and social business computing on open technology building blocks using Linux and the latest IBM POWER7+ processor technology. The first center opened in Beijing in May. Additional centers are located in New York, NY, and Austin, Texas. The Linux on Power development cloud is aimed at developers interested in running Linux on Power Systems. The no-charge cloud service is ramping up its infrastructure to provide more businesses the ability to prototype, build, port, and test Linux applications on the Power platform as well as applications built for AIX and IBM. Jim Zemlin, Executive Director of the Linux Foundation commented on the investment stating, "The last time IBM committed $1B to Linux, it helped start a flurry of innovation that has never slowed. IBM's continued investments in Linux for Power Systems is welcomed by the Linux community. We look forward to seeing how the Power platform can bring about further innovation on Linux, and how companies and developers can work together to get the most out of this open architecture." Google agreed to purchase the entire output of a new 240 MW Happy Hereford wind farm outside of Amarillo, Texas. 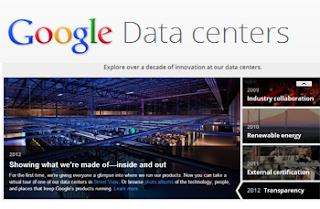 Although Google will not be using the energy directly, its data center in Mayes County, Oklahoma is served by the same Southwest Power Pool (SPP) regional grid that will benefit from the new wind energy farm. Google said the new power purchase agreement is another step in its quest to power its operations with 100% renewable energy. 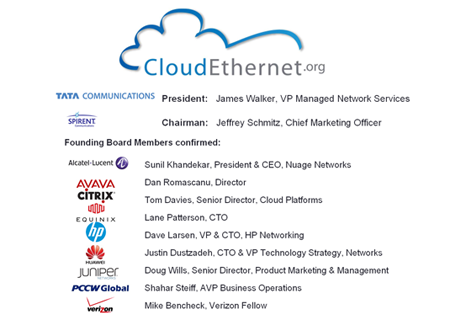 The new CloudEthernet Forum (CEF), which was formed earlier this year to address the specific issues of scaling and applying suitable Ethernet services for delivering cloud services, announced key appointments, goals and technical objectives for its first year. James Walker, President of the CloudEthernet Forum and VP Network Services at Tata Communications, said the nascent cloud market would benefit if the industry comes together to collectively develop solutions that address technical challenges such as VLAN scaling, layer 2 performance and resilience across very large domains and between service providers. The goal is to meet the needs of cloud service users through the effective use of Ethernet. Jeffrey Schmitz, Chief Marketing Officer, Spirent Communications plc is appointed Chairman. Two technical co-chairs have been appointed – Sam Youn, Director Network Architecture, Equinix and Mike Bencheck, Verizon Fellow – plus two marketing co-chairs to direct the Forum’s outreach and education strategy: Henry Bohannon, Senior Director, Head of Ethernet Product Management, Tata Communications and Doug Wills, Senior Director, Product Marketing & Management, Juniper Networks. Eleven founding members – Alcatel-Lucent, Avaya, Citrix, Equinix, HP, Huawei, Juniper, PCCW Global, Spirent, Tata Communications and Verizon – have already been joined by Ciena, Coresite, Cyan, Ericsson and Telx. The CEF’s forthcoming activities will include regional meetings for EMEA (Nice, France, September 25th) and APAC (Singapore, November 19th) as well as CEF activities at relevant industry events. The next members quarterly meeting will be held in Seattle, USA on October 24th. The CloudEthernet Forum will operate as part of the MEF legal entity using the same bylaws and IPR. F5 Networks agreed to acquire Versafe, a start-up specializing in web anti-fraud, anti-phishing, and anti-malware solutions. Financial terms were not disclosed. Versafe, which is based in Tel Aviv Israel, offers advanced web and mobile protection solutions that are combined with its Security Operations Center. The SOC is set up to quickly identify new malware types and new attack vectors, and works with customers to address these issues and incidents in real-time. 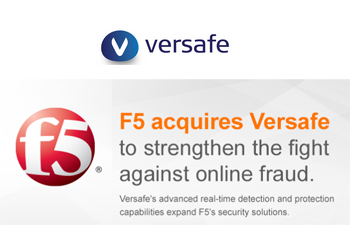 F5 said Versafe's technology offers a natural extension to itssecurity, access, and mobile solutions. F5’s Application Delivery Firewall solution benefits from new fraud, phishing, and malware protection. F5’s Identity and Access Management solution gains the ability to protect access credentials from being stolen by malware on the user’s device. F5’s Mobile Application and Device Management solution benefits from the ability to better protect business-to-consumer applications. Versafe has been an F5 Technology Alliance Partner with integration through F5’s iRules technology. The U.S. Commerce Department’s National Telecommunications and Information Administration (NTIA) formally petitioned the FCC to require wireless carriers to unlock mobile phones, tablets, and other devices for use with other carriers upon request. The petition requests that the FCC immediately initiate the process of setting rules that protect Americans’ investments in mobile devices by allowing them to use their equipment with any compatible network. “Americans should be able to use their mobile devices on whatever networks they choose and have their devices unlocked without hassle,” said Assistant Secretary of Commerce for Communications and Information and NTIA Administrator Lawrence E. Strickling. Late last year, the Library of Congress eliminated an exemption under the Digital Millennium Copyright Act that allowed consumers to unlock new mobile phones without carrier permission. Sprint will deploy a point of presence (POP) in Global Switch's London Docklands data center campus, which is a primary business and technology hub that provides Sprint direct access to an abundance of major international and national customers and networks. Sprint's presence in Global Switch London will enhance diversity its network diversity in Europe and provide low-latency connectivity to the United States. Mark Harris, Regional Director - Sales and Marketing for EMEA, Sprint, said, "Sprint continues to enhance its network capabilities within Europe. Through expanding its facilities to include Global Switch London, Sprint remains focused on ensuring its customers continue to have direct access to data centres with the highest levels of connectivity, reliability and security. When combined with Sprint's global MPLS network, it's a powerful combination in supporting mission critical applications around the world." 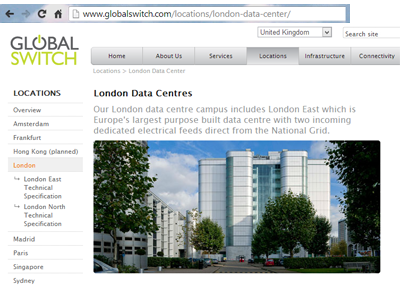 Global Switch operates nine data centres in key connectivity hubs across Europe and Asia-Pacific, providing around 290,000 sq m of state of the art technical space. Japan's SOFTBANK MOBILE has selected Stoke's SSX-3000 gateway for deployment in its small cell mobile broadband network. Macnica Networks was named system integrator for the project. Financial terms were not disclosed. The Stoke SSX-3000 is a gateway that enables mobile operators to deploy an efficient, stand-alone security perimeter fronting their mobile Core networks. With Small-Cell deployments raising concerns about security, Stoke SSX-3000 assures confidentiality and integrity of data plane and control plane over an all-IP network, supporting communications without adding any appreciable latency or service-impacting packet processing burden on core network elements. "Softbank is a fast moving and innovative competitor in Japan's mobile services marketplace and we are pleased to add them to our growing list of top tier carrier customers," said Vikash Varma, CEO of Stoke. "We are privileged to be a supplier to Softbank through Macnica, and look forward to a successful and expanding relationship in Japan, and other key markets like the United States of America." The Softbank project builds on recent Stoke wins in Western Europe and marks Stoke's fourth project in Japan, in two of the nation's major mobile operators. Separately, Stoke announced an agreement for Macnica Networks to bring the Stoke Security eXchange LTE security gateway and Evolved Packet Core (EPC) Protection solutions to mobile network operators in Japan. Initial results from the collaboration, which began earlier this year, include a Security Gateway project win and a new EPC Protection solution trial. Macnica Networks, a member of the Macnica Group, offers complete system integration services supporting Stoke LTE security solutions. Macnica Networks Corp. has over 20 years of experience in product localization, sales and substantial technical support of computer network equipment. Macnica Networks offers a full line of leading-edge network appliances, software, telecommunications and storage solutions to its customers, and consistently brings innovative new products to their portfolio. Cricket Communications, a nationwide no-contract wireless provider, has deployed Devicescape's Curator Service to provide offload services and capacity-reach via its Curated Virtual Network (CVN) of over 16 million high-quality Wi-Fi hotspots and intelligent connection software. 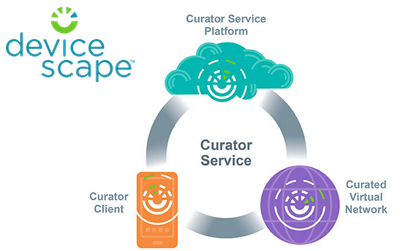 Devicescape's Curator Client, working together with the cloud-based Curator Service Platform, identifies the best available connection and proactively connects, including auto-navigation of click through portals. Devicescape said its Curator Service will allow Cricket customers to gain simple and immediate access to Devicescape's CVN of public Wi-Fi hotspots, which are continuously tested in real-time to ensure they meet Cricket's requirements for a quality experience. "Cricket is demonstrating their continued commitment to innovation and enhancement of the user experience," said Dave Fraser, CEO of Devicescape. "By extending Cricket's network though using our massive CVN, Cricket will realize many benefits, including increased customer satisfaction." In addition, Devicescape announced a strategic partnership with the Competitive Carriers Association (CCA), which represents more than 100 carrier members across the United States. The partnership will allow CCA carrier members access to Curated Wi-Fi offload and an "always best connected" user experience. Devicescape recognizes curated amenity Wi-Fi as a core strategy that helps carriers balance cost and network capacity. Instead of deploying a proprietary network of Wi-Fi access points, carriers can magnify their capacity-reach by leveraging the tens of millions of high-quality hotspots already established by venue owners and open for public use. The company's Curator Service grants carriers access to over 16 million global public Wi-Fi hotspots that are continuously curated for quality from more than 250 million hotspots worldwide, making it the world's largest network of quality-controlled Wi-Fi. Earlier this year, Devicescape introduced a "Personal Curator" solution that uses the company's intelligent network selection software to simplify initial connectivity to home Wi-Fi and maintain efficient connectivity on an ongoing basis. The solution is aimed at smartphone users that have either never connected to the home Wi-Fi network or have inadvertently opted out by turning off their Wi-Fi radio. The company estimates that 30% of smartphone users are not using their home Wi-Fi. The Personal Curator has the ability to switch the Wi-Fi radio on and off based on parameters set by the mobile operator around network conditions and usage behavior to ensure the best Quality of Experience (QoE) and conserve battery life. In addition, the software provides operators an in-depth trend analysis of subscriber usage, including cellular, private and public Wi-Fi data consumption. AT&T and SAP AG (announced an expanded partnership focused on mobile application development, mobile security and management for businesses. The comprehensive suite of mobile solutions from SAP is now expected to be available to AT&T business customers in the fourth quarter of 2013. The SAP Mobile Platform helps AT&T customers to develop, launch, distribute and manage mobile apps, content and devices that integrate with existing infrastructures, including both SAP as well as non-SAP back-end systems. As a result of this collaboration, businesses can benefit from the wide range of mobility solutions that AT&T and SAP have to offer, including enterprise mobility management solutions and an existing library of pre-packaged mobile business applications. "Mobilizing business processes is a top priority for our customers. They're focused on mobile applications that go beyond voice, data and email that truly change the way they work," said Chris Hill, Senior Vice President, Advanced Solutions, AT&T Business Solutions. 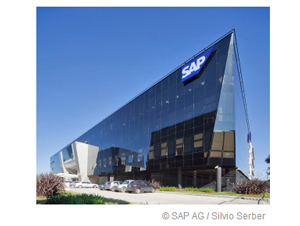 "In collaboration with SAP, we can help businesses achieve new levels of productivity and innovation." "Mobility is changing the way we live and operate in every industry," said Kevin Ichhpurani, senior vice president, Business Development and Ecosystem Innovation, SAP. "For everything from mobile security for the world of BYOD, to mobile apps built using our mobile platform, SAP's vision is to intelligently unwire the planet. As such, we are excited to help ensure companies of all sizes can gain access to the industry's state of the art enterprise mobile solutions." 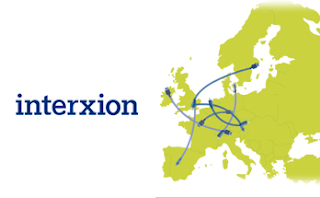 Deutsche Börse is opening a new access point in Interxion’s Vienna data center campus, offering direct, low-latency access to its global financial network to tenants of the facility. Deutsche Börse’s network interconnects market participants with the major players of the financial services industry throughout Europe, the Americas and Asia. Interxion hosts Financial Hubs in its data centers, enabling low latency interconnectivity to a variety of financial institutions. Anite has added LTE-Advanced (LTE-A) Scenario Mode capability in its Development Toolset, enabling engineers to quickly develop and edit test scripts using a drag and drop graphical interface. It offers a procedure-based rather than a message-based approach to script creation, which can make test creation simpler and faster. The user creates a complete test by assembling procedure blocks without necessarily working through each message in detail. Anite said its Development Toolset enables users to quickly validate complex lower layer test scenarios, thereby supporting the entire wireless device development lifecycle, from pre-silicon protocol module development through to systems integration and verification. "The launch of LTE-A enabled Scenario Mode within our Development Toolset further demonstrates Anite's market leading roadmap and solution capability," says Paul Beaver, Products Director at Anite. He continues, "Supporting our chipset and device manufacturing customers with simplified and rapid testing in the early development stages will help to accelerate new devices to market." Anite recently announced that it was first to release a flexible and comprehensive eICIC enriched LTE-A device testing solution, based on its Development Toolset. In February, Anite was first to announce support for industry-leading peak data rates for LTE-A Carrier Aggregation. AT&T has opened its second innovation center in Plano, Texas. The new AT&T Foundry, which is located on a floor above the first facility will help hardware developers by providing tools such as a 3D printer and a shielded copper testing room called a Faraday Cage that blocks external radio frequency signals. The two facilities will be regular collaborators, with the downstairs team often developing the software and services for the hardware being printed, soldered and assembled upstairs. "Adding intelligence and connectivity to a new and wide range of machines is a huge opportunity, and we welcome the challenge," said John Donovan, Senior Executive Vice President of AT&T Technology and Network Operations, AT&T. 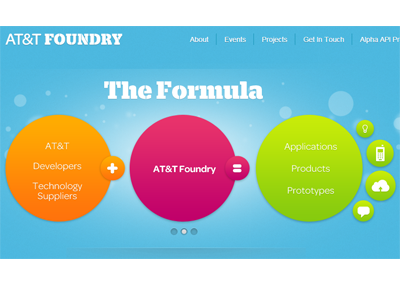 "This new AT&T Foundry facility has the capability to rapidly prototype hardware and develop the sophisticated software needed in the growing M2M and connected device space."